Our attorneys give each client the time and attention they deserve. 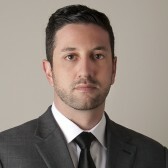 Attorney Jason Andrew Lieber focuses on representing clients in all aspects of the litigation process. As a former Deputy Public Defender and as an associate at a private defense firm, Jason has intensive, hands-on experience litigating cases in state and federal court. Jason was admitted to the California Bar in 2004, and is a former Trial Attorney of the Year in the Southwest Division of the Riverside County Public Defender's Office.